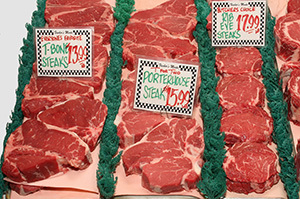 The finest meat shop in the Issaquah Washington area is Fischer Meats. We also serve the entire Seattle metro area including Bellevue, Redmond, Renton, Kent and Auburn. 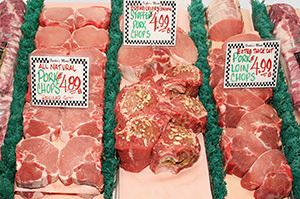 It’s all about Quality: Fischer Meats offers its customers the finest cuts of meat and specializes in premium Black Angus beef, all natural Washington grown chicken and locally grown pork, lamb and veal. 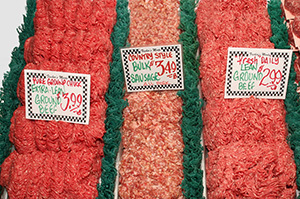 The USDA federally inspects Fischer Meats to ensure the safety and quality of their products. We do specialty cuts so if you come into our store and don't see the particular cut of meat that you want, just ask us and we'll take care of you. 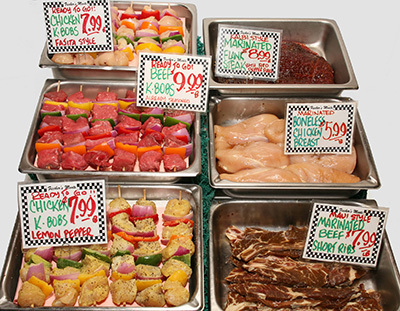 As a full service shop, we're here to provide you with highest quality of meat in the cuts that you want. Our Motto: "If we don’t carry it, we’ll get it." Other smoked items include bacon, ham shanks, pork chops, bone hams. In a hurry? Any of our ready-to-go items makes a nutritious meal for your family without the messy preparation-all you do is cook it. 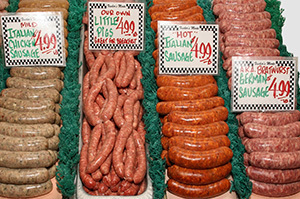 Fischer Meats makes all their sausages in-house with fresh all natural ingredients and has one of the region’s largest selections of smoked and fresh sausages. 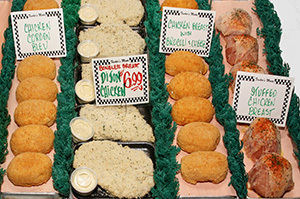 Fischer Meats also carries a variety of spices, sauces, condiments and rubs to compliment our meat, poultry and smoked products. Washington Beef Located in the agriculture-rich Yakima Valley, Washington Beef has been working with the very best Washington cattle feeders since 1979 to provide the highest quality beef products possible.